Bringing you the latest in boiler technology, we supply and install highly efficient gas boilers for years of comfort and reliability. Below are two example Baxi boilers that we install regularly; we recommend Baxi for their build quality, value for money and ease of use. For a quotation based on your exact requirements please get in touch. Reliable and easy to install, the Baxi Platinum Combi is a firm favourite with householders and landlords alike. 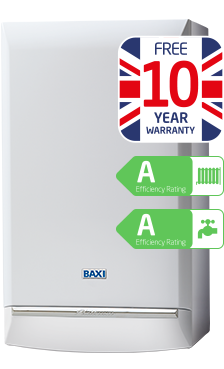 A proven boiler to deliver reliability with the peace of mind of a Baxi 10 year warranty. Combination boiler. Both hot water and heating are run from the same unit meaning there is no need for an immersion heater or hot water tank, saving space and installation costs. Every home is different. But the ecoTEC plus, with its range of heating outputs, is so flexible it can meet the demands of a whole range of homes and different lifestyles. That’s why it’s our flagship boiler. System Boiler. 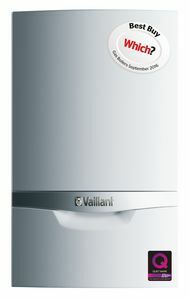 Provides heating to unvented cylinders for both hot water and heating. We’d love to discuss your project, for the latest energy saving products and advice give us a call today, alternatively, drop us a line using the form below – We aim to reply to all messages within 3 working days.